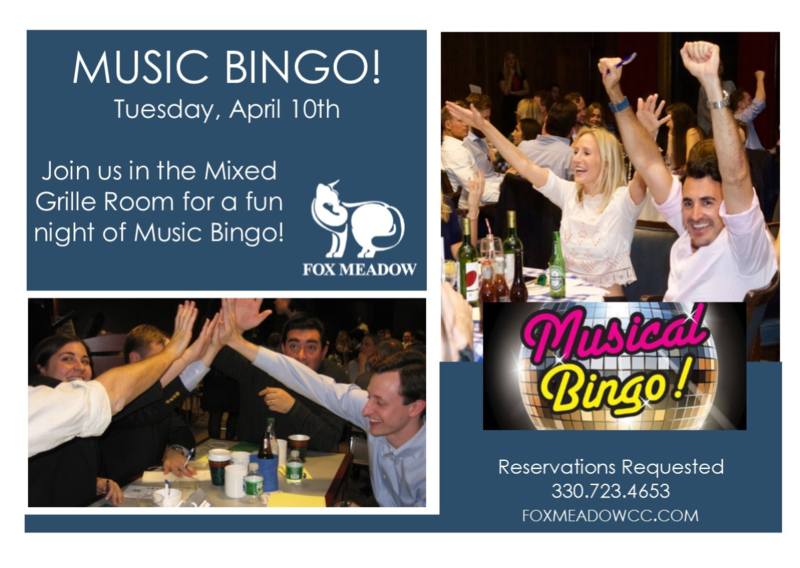 Music Bingo will be hosted on the second Tuesday of every month from 6:30pm to 8:00pm. A representative from KG Entertainment will be joining us for fun rounds of Music Bingo! Please contact the Clubhouse to make your reservations 330.723.4653.